I’ve decided to do the Slim Down again to tone up for my Birthday Vegas trip. There are also so many of my fellow Tone It Up team members who are doing it at the same time :-) I know it will definitely help me stay focused and motivated. This will be my second time doing the slim down so I’m a little more prepared this time around. Here are some tips that will help anyone who is doing it for the first time or for those who may have tried it but didn’t make it through. 1. Get the Tone It Up! Nutritional Plan. That’s the only way you’ll get the 7 Day Slim Down :-) It is truly the best investment you can make for your health. Get it Here! 2. Once you look over the Nutrition Plan, try to follow the eating tips and exercise recommendations in the Maintenance part for a week or two. You don’t have to follow the meals on the Slim Down but just get started by eating 5 meals a day and working out. This way it’s not such a drastic change when you start the Slim Down. It’s also a good way to figure out a schedule for workouts. 3. Look over the Slim Down. 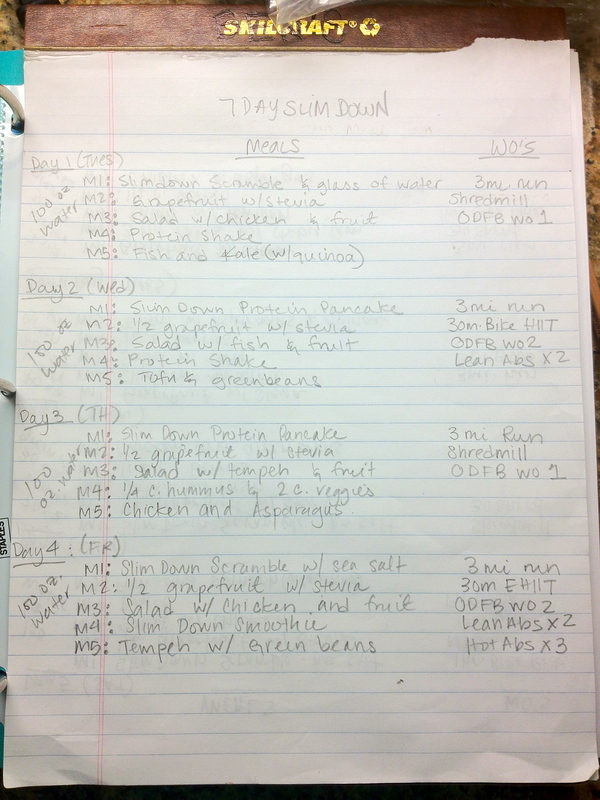 Yes the meals are pretty much the same for the week But you do have options. 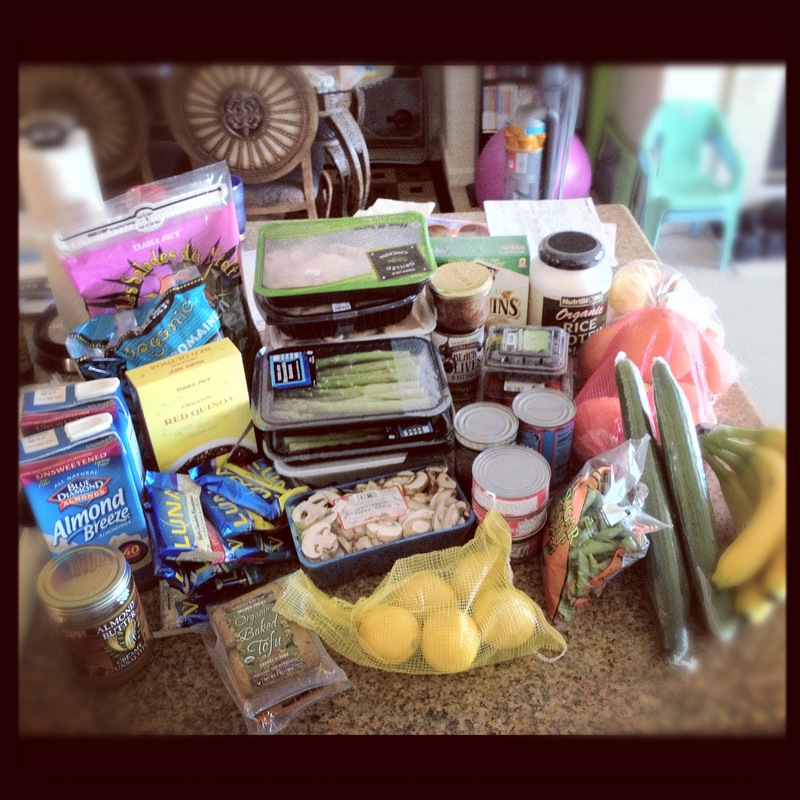 Make a Meal Plan for the week. That way you can mix things up a little bit so it doesn’t get too tedious. 4. Make a Shopping List and get what you Need the day before you start. Make sure you have enough to last the week. 5. Prep what you can. I like to cook my chicken and fish ahead of time. If you work or go to school, it’s a good idea to also prep some of your lunches. 6. 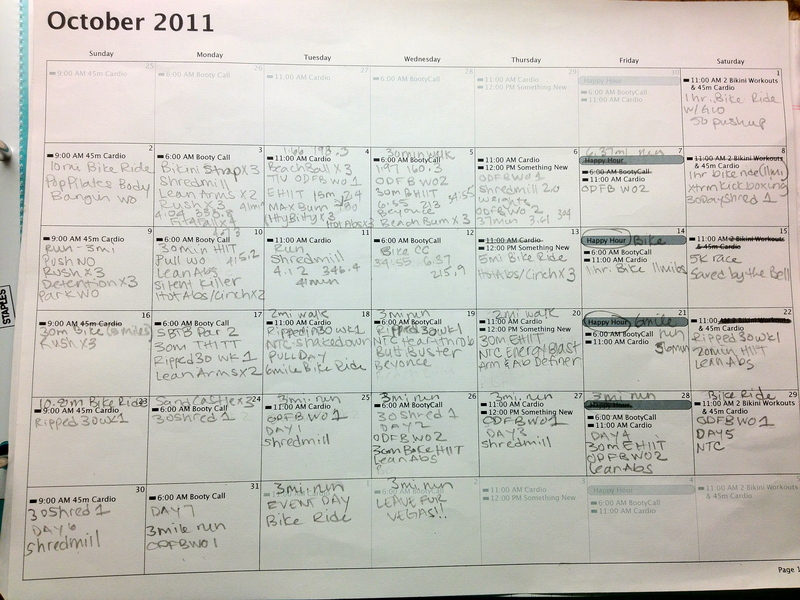 Make a workout schedule. Look over the slim down and see what the workouts are for each day. Write down what you’re going to do for that day. This helps me a lot. I might change what I plan depending on how I’m feeling. Weigh and take measurements the night before. Take pictures if you like. My most important advice: Listen to your body – especially with your workouts. The first time I did the slim down I toned up 6lbs and got myself back to what I weighed before I had kids :-) And I’ve followed the Nutrition Plan ever since to keep toning and maintaing my healthy lifestyle. I have lost a total of 9lbs since I started following the Nutrition Plan(2 months). It REALLY WORKS!!! But you have to WANT to make the change. Only YOU can make that decision.